How TranslateMedia helped Vertu reach high-net-worth individuals in global markets. 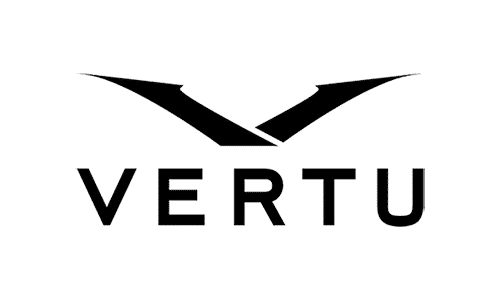 Vertu, a leading manufacturer and retailer of luxury mobile phones, wanted to enhance the customer experience across their Middle East, Chinese and Russian markets, while growing business in Europe, principally the UK, France, Germany and Italy. In order to achieve this, Vertu required the development of a state-of-the-art eCommerce website that could successfully display their expertise in designing and handcrafting very high-end, often highly personalized mobile devices for their discerning global customer base. The challenge Vertu faced was how to successfully market their products to consumers in each of these distinct regions while retaining their tone-of-voice and brand identity. They chose TranslateMedia as their language service partner due to our extensive experience working with luxury brands, including Jimmy Choo and Harrods, to deliver high-quality, engaging content to wealthy customers in emerging and developed markets around the globe. As well as transcreation of Vertu’s source content into Arabic, Chinese and Russian, Vertu and TranslateMedia worked together on the brand’s French, Italian and German websites – delivering high-quality, fully localized versions for end users in these markets. In order to fulfil their ambitions and deliver a scalable, cost-effective solution, Vertu decided to host their website on the Demandware e-commerce platform. With one centralized platform to power all channels and a host of intuitive applications, Vertu was able to quickly execute omnichannel merchandising and marketing strategies, manage their global operations and develop unique capabilities to differentiate their brand experiences across web, mobile and in-store. TranslateMedia worked with Vertu’s integration agency, DigitasLBI, to integrate the Vertu website with The Language Cartridge – an innovative solution to allow retailers to easily manage their multi-language websites. The technology enables seamless integration with Demandware and STREAM, TranslateMedia’s translation management system, providing a fast, secure system to manage multiple sites across different locales and languages. To ensure that this could all be achieved on time and within budget, TranslateMedia worked closely with Vertu to develop a detailed translation brief based on analysis of existing collateral and conversations with key regional staff members. Vertu and TranslateMedia worked together to hand-pick the right teams of linguists, with the relevant product and sector knowledge and experience to work on each language. The best translators were then selected to become part of the dedicated team to work on the Vertu project from initiation to completion. TranslateMedia’s advanced translation memory technology was used extensively on the project, ensuring the highest levels of consistency and efficiency and resulting in huge discounts on the translation work completed by TranslateMedia.